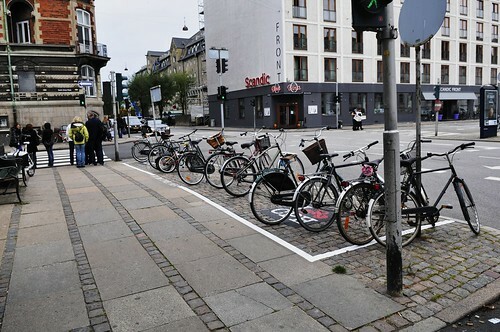 The City of Copenhagen's Bicycle Office is currently testing a new bicycle parking idea at four locations in the city. In the hopes of getting people to, at the very least, stick their bicycles in one place, these bike parking zones have been painted on the ground. 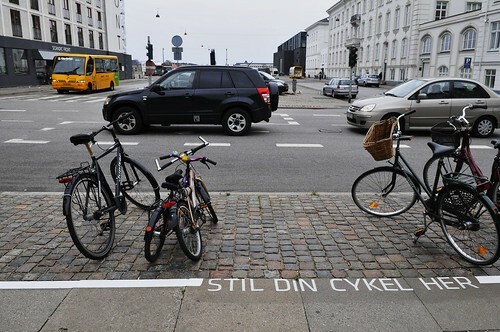 In Danish the text reads "Place your bicycle here". It's an unorthodox way to do things, but the City is keen to run some tests to see if it works. Students are monitoring the parking zones and, if they are successful in their function, they'll be implemented in other locations around the city. 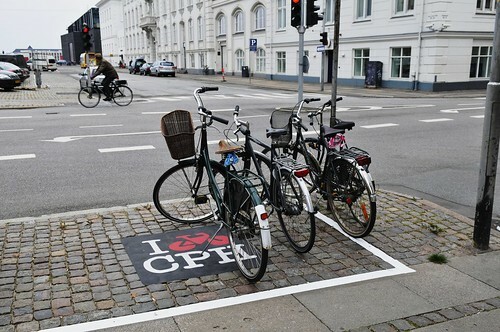 The all-important bicycle logo for the Bicycle Office - I bike Copenhagen (CPH) - is ever-present. Visual branding is paramount. 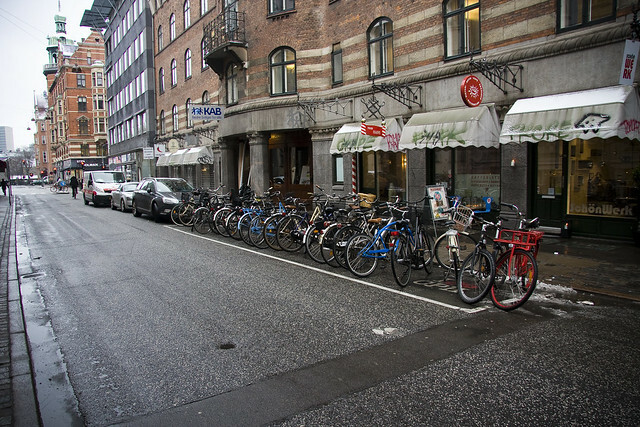 Here is a later article about a Flex-parking solution on another Copenhagen street. The City of Amsterdam has tried out these parking zones and they were a big sucess. By all accounts it'll work here, too.